Join other Warriors creating change through movement on Sunday, March 4th. 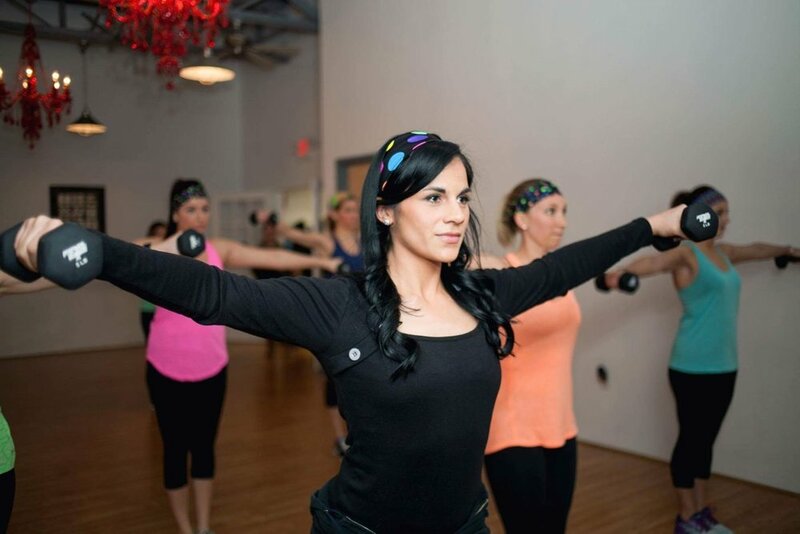 Warrior for Change Brittany DiPietro hosts her annual “Beautiful You” event during National Eating Disorders Awareness Week at Body By Design Studio on March 4, 2018. Her mission is simple: Finding strength within ourselves and helping each other to realize, accept and LOVE that we are beautiful just as we are. Proceeds to benefit our cause, Ophelia’s Place. What inspired you to create and host the annual “Beautiful You” event? What keeps you doing it every year? “Beautiful You” was created as a result of my own personal journey with an eating disorder. While I worked on my recovery, I felt compelled to share my experience and to spread awareness. You rarely heard about eating disorders, but you knew they were present and impacting many lives. I truly feel that our event has helped our community to not only talk about eating disorders, but to act on them. It has raised awareness and informed people where they can seek help should they need it. Looking at my beautiful niece every day is what keeps me inspired and determined every year when it comes to doing this event. I want her to live in a world where we are talking less about how one looks, and more about who we are as individuals. Our youth are watching us and listening to how we speak amongst one another and about ourselves. This motivates me to help the cause in working to change the negative conversations about our bodies, and instead focus on our core being and practicing kindness to ourselves and each other. Why have you chosen Ophelia’s Place as the benefiting charity all these years? Having been a patient of The Upstate New York Eating Disorder Services at Ophelia’s Place, I can definitely say that it instantly became a safe haven for me when I first walked through the doors for treatment. With their warm and inviting atmosphere, Ophelia’s Place makes you feel comfortable, welcome and loved. Their charming café for a cause is the first thing you see when you walk in. It is safe to say that others feel that very sentiment as well. Whether you are coming by for a cup of coffee or supporting a loved one as they attend an appointment, Ophelia’s Place provides a feel-good environment that has impacted our region in such a spectacular way. They have worked tirelessly to make the community feel loved and supported, and so this event is about coming together to thank Ophelia’s Place for all of their hard work and for impacting so many lives for the better. What called you to change the conversations our culture has around health, beauty, body image and fitness? The reality is that one typically walks right into a conversation about appearance. A dear friend of mine once made a remarkable point, about how when people greet one another, there will likely be a comment on how he or she looks (for example, “Have you lost weight?”). I think it is the everyday conversations that made me want to be a part of the change … The conversations about needing to lose weight, discontent with our bodies, critiquing others and perhaps focusing too much on being in the gym. Words are powerful, and therefore we have the ability to change these conversations by using our voices to speak uplifting words of positivity. How does that unfold in your work as a fitness instructor? How does that unfold in your life, in general? As a fitness instructor, the greatest responsibility I carry is making people feel like the best possible version of themselves. That said, I focus on giving my clients a feel-good fitness experience. I avoid the usage of words such as “diet” and “weight,” and I do not advertise my classes as an opportunity to lose weight or fat. In my eyes, it works incredibly well and makes for a comfortable environment free of unhealthy thoughts and expectations. This does not just apply in the studio for me, as I also avoid these words as best I can in everyday life. It is impossible to avoid these words or negative talk all of the time, but it is how we handle these moments that truly matters. This is where change comes into play. We can lead by example by speaking words of positivity, and when we walk into conversations that are not, we have the ability to change it! What was one of the first steps you took in your journey toward body acceptance? One of the first steps I took in my journey toward body acceptance was ironically a step back, from the scale that is! I am not ashamed of saying there was a point in my life that I was focused on the number on the scale. I remain a work in progress on this, but it was liberating to no longer hold myself to an expectation of what that scale should reveal. I was finally in control of my body’s destiny and could focus on how I feel in my body, versus this number that does not identify an ounce of who I am. Where do you source your strength? I get a lot of strength from my family and my friends. I have been blessed with a support system that is beyond amazing! But there are days when I have felt triggered, and this is where I have to put the work in that no one else can do for me. In this process, I have learned to be an advocate for myself. When I am experiencing a difficult moment, I take a deep breath and take good care of myself. I take a walk. I put on a movie that makes me laugh. I snuggle up on the couch and take a gloriously long nap. Practicing self-care is not a selfish thing; it is an important and POWERFUL thing! We are so worth it. What’s one nugget of truth, inspiration, encouragement or empowerment you want to share with others? My nutritionist at Ophelia’s Place is behind the best piece of advice I had ever received since I started on this journey (and is truly the reason why I can proudly consider myself recovered). There was one day that I sat in his office, absolutely at war with myself. He looked at me and told me that I do not have to be madly in love with my body, but perhaps could dislike it a little less. It was such a real, down-to-earth response. It was a realistic expectation, and something that stuck with me from that point forward. Many of us are not going to walk around every single day in love with our bodies. But, a day that I can look in the mirror and not dissect the parts that make up my being is an absolute win in my book. Celebrate those moments of acceptance, and always remember that at the heart of who we are is what is on the inside. Get involved with other Warriors creating change at the Beautiful You event here.